Example 1: For a subscription aimed at children aged 5 to 12 years, the product life cycle might peak around children aged 10 years old and expires when the child reaches 12 years old. This can be forecast by the business as there are set milestones defined by a fluid timeline. Example 2: For a pet-related subscription box, the product life cycle expires when the pet passes away. This cannot be predicted by the business. The majority of subscriptions sold are not impulse purchases. Purchasing a subscription involves a considered decision making process. People invest time, resource and emotions in making a commitment. The more complex the decision, the more invested people become and this impacts the subscriber life cycle in a positive manner. A subscriber’s relationship with the product will fluctuate. As these fluctuations take place, businesses should react accordingly to increase profit and reduce churn. It is essential that businesses strive for a true relationship with their subscriber base, built on two-way communication, so they can react to feedback and gauge what stage of the cycle a subscriber is in. The four stages that a subscriber will transition through allow businesses to offer reward, show empathy, surprise and delight and re-engage with them. There are different ways of defining each stage to meet specific business needs. Some businesses will use data to map trends. These trends are used to define at what point of a subscription each stage is reached. Other businesses may engage with key influencers, super-customers or VIPs to provide an insight into how their subscribers move through the lifecycle stages. This can be achieved using polls, focus groups or surveys. • You are in the honeymoon period, in which you want to tell everyone all about your new subscription and can’t recommend it highly enough.• You actively seek news and information and ‘like’ related social media posts because you are highly engaged and this reaffirms your decision to commit. • You actively want to connect to other subscribers to join a like-minded community. • This period creates product champions, generates free marketing via word-of-mouth and helps to create a buzz. It’s a period where usage is at its highest. • This is the time to set relationship expectations, encourage subscriber recruitment with recommend-a-friend initiatives and capitalise on free word-of-mouth marketing. As a subscriber:• A quiet contentment replaces the initial excitement. You are used to having the product in your life and you look forward to receiving the next installment.• You willingly participate in social conversations about the product but there is less urgency and you rarely instigate/seek out these conversations.• You are still engaged and enthusiastic about recommending it to relevant people and happy to introduce new members to the community of subscribers. As a business:• The aim is to extend this period as much as possible by strengthening the bond with your subscriber. This can be achieved via engagement, interaction and content. As a subscriber:• You’ve been paying for the subscription for a period of time. It’s possible that the product no longer matches your values or meets your needs and your usage has dwindled significantly.• You no longer feel anticipation of the next installment and when it arrives, it reminds you that you are considering cancelling the subscription.• You might have experienced a change in circumstances, such as a reduction in disposable income. There may now be a competitor brand entering the marketplace, and as such, you are looking at alternatives and reassessing your need for the subscription.• Your emotional connection to the product has lessened and you are still a part of its community, but you no longer take an active role in community based conversations for this product.You feel less engaged with the brand. As a business:• The aim is to reinvigorate the subscriber to push the them back to the previous stage of being ‘Mature & Happy’. The priority is to prevent them becoming so bored or unhappy that they churn.• Interaction and content are great strategies to achieve these goals. The business should also be reviewing any customer feedback/customer service interactions to ensure that they are still meeting and exceeding the subscriber’s needs.• The best tactic at this stage is to surprise the subscriber in some way to alleviate the boredom and reinvigorate them.• Techniques that work well include rewarding loyalty, offering an incentive or delighting them with a gift. Offer something that provides added value to compliment or extend their subscription usage. As a subscriber:• You have made the conscious decision to end the subscription as it no longer fulfills your various needs.• You are still included in community groups socially, but you no longer participate. As a business:• Your focus is on re-engaging the subscriber before they are lost. Your marketing should generate action, excitement and create a sadness/fear of exclusion or missing out. Identifying subscribers who present a churn risk is never a simple or easy task, but a commercially valuable one. Taking steps to map out your own customer lifecycle and pinpointing where your existing subscribers sit is vital to negating churn risk and retaining that all important recurring subscription revenue. If you are interested in learning more about retention marketing and how uOpen and Jellyfish Connect’s subscription experts can help support your business then please get in contact. A subscription marketing expert, Stacey has a wealth of experience working with some of the UK’s largest subscription businesses, including BT Sport. 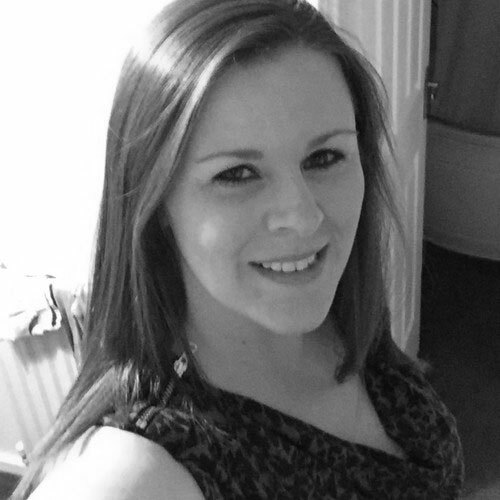 Now also part of the specialist Jellyfish Training team, Stacey helps subscription businesses to drive increased subscription volumes and more importantly, improve retention rates.